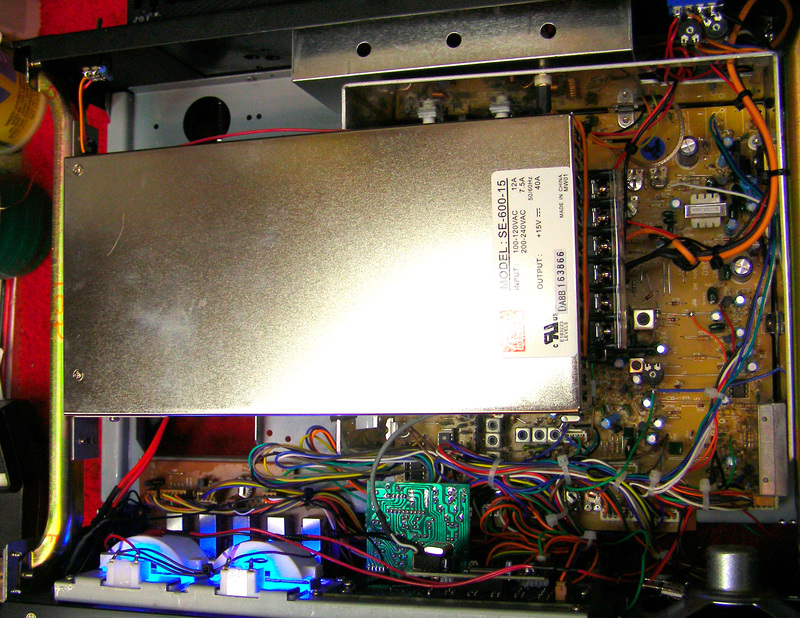 We Install A Meanwell Model SE-600-15 Power Supply and set the voltage at 14 Volt DC flat. This will supply the radio and amplifier with 42 amps. We also add a HI/Low Switch to adjust the power supplys fan speed.